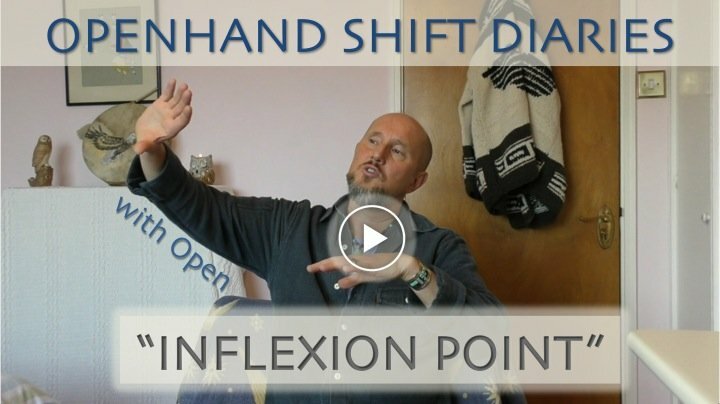 We've entered the "Inflexion Point" in the 5D Shift...How Will it Affect You? The 5D Shift rolls on. And even though the greater picture might not be recognised or understood by the masses, nevertheless, it continues to influence us all, impacting every single aspect of our lives. Everything is consciousness. Everything is connected to the torsional flow which, no matter what density we find ourselves buried in, wants to compel our souls back to the source. For Gaia, the current transition means a massive shift of consciousness into the Fifth Density, which will leave no stone unturned. Right now, I perceive we've entered what's called the "Inflexion Point" in the shift. We know that reality is woven together by 'strings' of consciousness, that all life forms from the background 'quantum soup'. Even though things appear as hard and separate and solid, these are perceptions in a consensus reality, which creates a karmic construct - a crucible - through which to learn evolve and grow. We're really walking through a hologram of light, which takes form according to our beliefs about the reality we're travelling through. Beliefs are based on perceptions formed from karma, which may be viewed as subconscious judgments we make of reality. But as the karma unravels at a collective level, then so too does the old reality construct, thus making way for a new vibrational paradigm to take shape. It's clear to me, that even though the majority have not yet processed their karma relating to old 3D paradigm, that an unstable situation has been generated here on earth, and an event line now initiated of irreversible 'trip switches'; which, through abrupt climate change, a pole shift and dramatic changes to our biosphere, will come to cleanse the earth in the 3D. The karmic construct will break down, and the sentient life which is ready will be ushered into the Fifth Density. 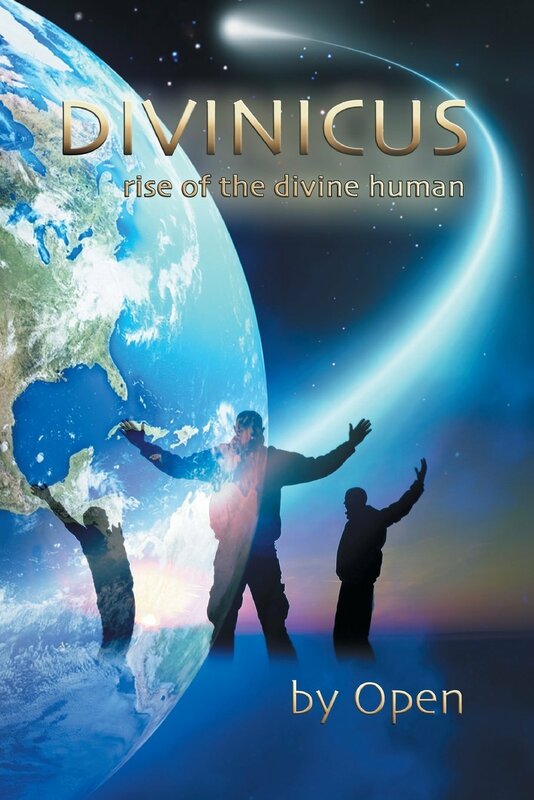 As it becomes increasingly untenable to live on 3D earth over the decades ahead, those that are not ready for 5D Consciousness will reincarnate elsewhere in the cosmos - a process which has happened many times before, bringing whole populations here for example, when the Sirius star system broke down 120 million years ago through a dramatic ascension. In a Universe of constant change, change is the only constant! Emergence of the "Rainbow People"
I've just completed a World Tour, working with evolving groups in Europe, Canada, America and Australia. 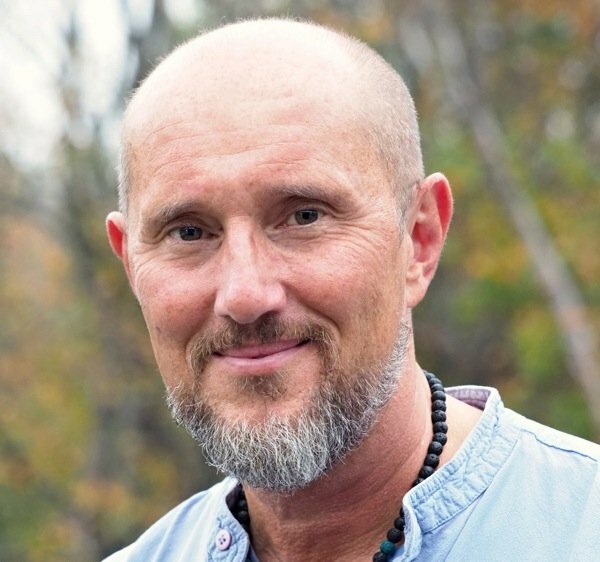 It's always a great honour and privilege to be a part of people's journeys as they dump limiting belief systems, integrate soul, and expand consciousness into a higher paradigm of being. It always brings great joy! However, the 5D shift is no walk in the park! The movement of consciousness tugs on karmic tethering within ourselves, which has created relationships, careers and living circumstances. As we align with the shift, it challenges all those around us who still relate to the old reality. We're each having to make challenging choices as we step boldly forwards. A common theme amongst the "rainbow" people I've worked with, is the feeling of being "pulled in two different directions". There's often a sense of responsibility and compassionate connection to those still stuck in the old drama. 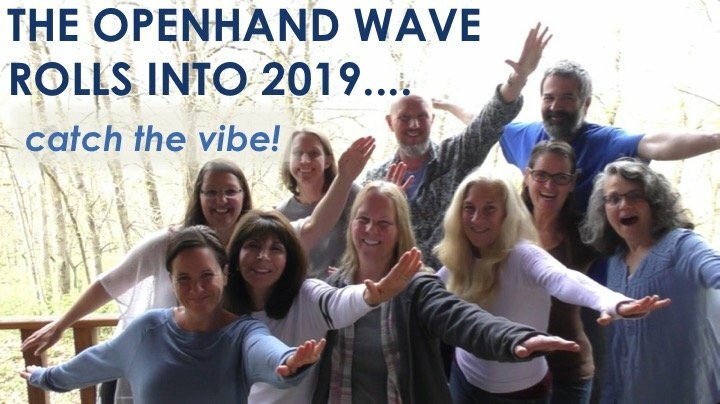 At the same time, there's a yearning to shift on, and live the new 5D consciousness of being, one that unleashes authentic self and compassionately connects us to the interests of all sentient life. 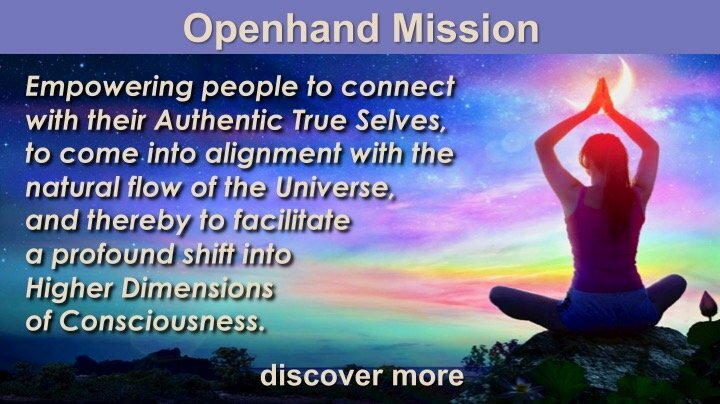 As we make this shift, we become a mirror to all those around, one that's not always convenient, and hence, especially now, you may find yourselves being judged and limited - held back - by the old consciousness. Just be aware this is likely to happen. I've been having a challenging time myself of late. 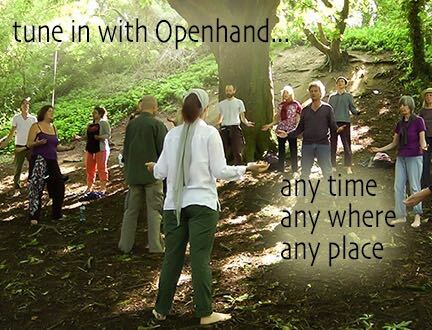 Openhand, the organisation I work with, is going through its own transformation. 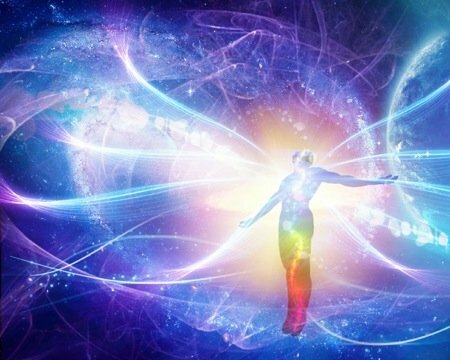 It's a shift from an old community construct, with quite a degree of attached inertia within it, into a dynamic movement of energy - a progressive flow into the higher paradigm of being. 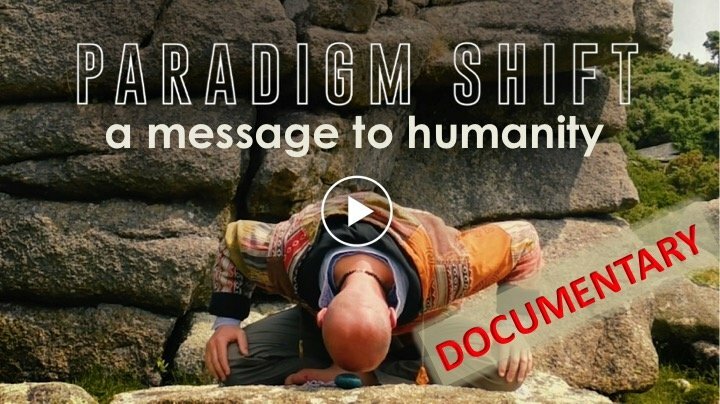 We're now embodying and living 5D consciousness as a reflective bridge, to those ready and willing to make the shift in their own personal lives. In the field I've felt the strongly resistant karma of the old construct, and at the same time, the vibrant shifting energy that wants to usher in a new beginning. Recently, I could feel a massive resistant blockage, which as I explored into, propelled me on an astral journey where I experienced becoming the shifting field itself. I traveled into a bottleneck, whereupon the words "Inflexion Point" were gifted by higher consciousness. I remembered from past ascensions - that there comes a point in any higher dimensional shift, where there's a 'pulling through' of the old reality construct. It's like a tug-of-war, where the resistance of the old consciousness is equally balanced with the pull to the higher paradigm. It felt like travelling through thick gooey treacle, and because of the compression of soul through this choke point, it became really hard to perceive my usual guidance mechanism - to see the light at the end of the tunnel. In the diagramatic representation, we've entered the orange cross over panel, where a wave of souls are pulling toward the higher paradigm, but where the masses are pulling back toward the continuance of the status quo. Hence the very challenging energetic dynamic for all concerned (the status quo cannot ultimately persist, it can only delay the inevitable that's now taking place)..
Firstly, many around you will be unconsciously feeling the affects of the shift. Especially they will feel the pulling away of the very foundations - the karmic consensus construct - in which they've been living. This will create anxiety, doubt and fear. They'll be clinging onto the people and ways of being that they have been plugged into, yet are unable or unwilling to let go of. Do not let this hold you back! Let's be compassionate, yes, but remember the most compassionate thing we can do is to boldly live and reflect the higher consciousness. It demonstrates the new possibility they can become. You'll likely be judged by those around you. It's because your very higher dimensional way of being offers an inconvenient reflection that people in your landscape then have to deal with. If they're not ready to embrace the message, usually the knee-jerk response is to 'shoot the messenger', so as to not have to deal with the inconvenient truth of what's going on. Remember one thing though: you personally create everything in your life that presents in the mirror. If you find yourself being judged, explore why you might be judging yourself? Thirdly the guidance mechanism that you've been used to following, will likely become increasingly stretched and challenged. We're entering a torsional vortex - the eye of the needle - where consciousness contracts down. Hence it can frequently be hard to see and feel the higher connection. Don't give up! Even as you find yourself in challenging situations, remember why you embarked down this pathway in the first place. Collect essential "totems" - power animals, divine gifts and symbols which reflect what the higher dimensional shift means to you. Keep tuning in, keep connecting. Fourthly, you'll likely feel many times this sense of being pulled in two different directions - drawn into seemingly impossible situations It's important NOT to try to distance yourself from the discomfort it generates. Instead, pause, sit in the impossibility. Go within, right into the heart of the tightness. You're actually touching the convolution of the old consciousness inside yourself, and where it tethers into the field. Work within, explore any anxiety or emotional attachment. Work to unravel the blockage. This not only has a beneficial realigning effect in you, but also your surrounding field - you unleash the higher flow through it. (Check out Openhand's Breakthrough Approach). My friends, the only way out is through! There's an incredible way of living and being, which you know in your hearts, that is yet to be fully actualised and lived. The new Fifth Density paradigm is a bounteous place of mystery miracles and magic. But we first have to assist Gaia in this massive shift - to play our part in this "pull through' of consciousness, which is currently at the critical Inflexion Point. It won't serve the earth, nor anyone on it, to slip back into the old status quo and try to perpetuate it by grasping at last ditch straws (be that by geo-engineering, GMO or controlling populations). We must each now be bold, step up and play our part in the shift. If you're reading this, the likelihood is you're already an energy worker or are ready to become one. Know that the changes you make inside yourself, ripple into the field all around you. Know that you have the capacity to tune into choke points, feel them inside of you, and bring your consciousness to bear by unraveling them. Know that you're bring a positive influence to all life around you. And you are not alone. 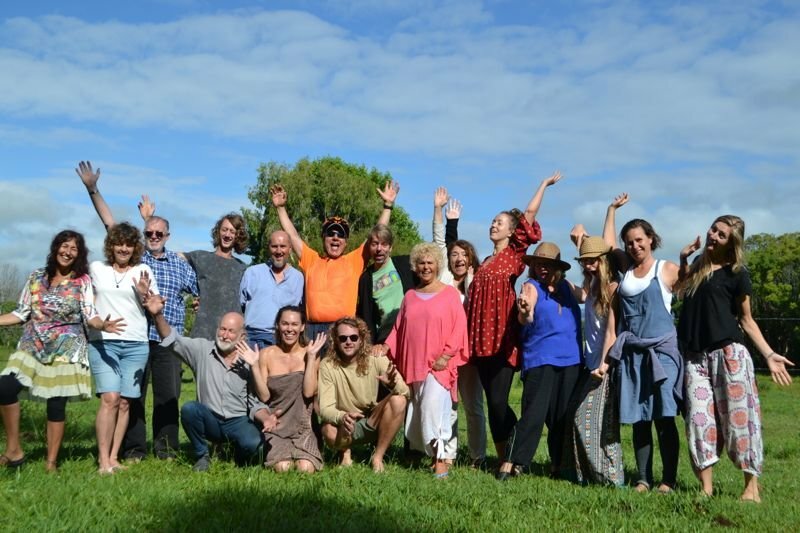 Although it's typical that energy workers are spread to the four 'corners' of the earth, and thin on the ground, nevertheless, we connect through the ether to others all around the world - a family of "Rainbow People", all facilitating the shift. Take heart, take courage and be bold now. Let's step out to seal our divine destiny! I love this article Open...it seems to be quiet here in the community...though I know loads are reading this and resonating. I wanted to add something that has been helpful for me. As we may notice and collect totems that remind us of the energy, I have found it important to notice the totems we are holding onto in our life that no longer resonate with us and to let them go - perhaps even offering in a ceremony if it feels right. I have found certain jewelry and memorabilia that reflects and holds in place old consciousness within me. Obviously it's not enough to get rid of it, but reflect and feel where and how it is attached inside...what are we holding onto there? Thanks so much for this awesome article - I can relate to it greatly! Thank you for posting this article Open. It very much explains some of the things I have been experiencing here lately - and if it's going the way I know it has to go, it's not going to get any easier in the very near future. Thanks for the reminders to stay vigilant - yes totems are great, just as little 'tug' back into the higher consciousness. I'm entering a period in my life now where I'm about to make major changes - I'm very likely to be hit by judgement from all sides as well as much anger. However, the situation I'm going into is a lighter one, for me. I'm hoping I can ride this period of adjustment out without getting sucked in - it's going to be tough I know. Thanks for making things clearer. Hi Jen - thanks for the feedback - yes, I agree, it's essential to get rid of old 'totems' too. Because, yes, they all contain energy. So if you've found your consciousness has shifted, then be prepared to let go of the treasured crystals, symbols and power animals too. Create an open space once more and see what wants to shape. I'm entering a period in my life now where I'm about to make major changes - I'm very likely to be hit by judgement from all sides as well as much anger. These things are likely to happen, yes. I feel for you. But as you rightly point out, we can't let that stop us. When you go forwards in truth, although not easy, I've always found it amazing how things click in and somehow work out - it's seldom as bad as we might imagine it to be. I felt to add some more insight into this critical phase in the 5D Shift - where the pull from the old paradigm meets the pull from the new. What we're calling the "Inflexion Point". It's highly likely there'll be a strong increase in very challenging symptoms in people around you. What might these be and why are they happening? Firstly, the light is now starting to "pull-through" the old consciousness of the existing karmic reality construct. So as you attune to your personal path of light within that movement - you soul's path - then it can feel like being pulled in two opposing directions. Some choices will seem impossible to reconcile. In these times, my advice is to sit with the impossibility. Don't try to figure things out logically. Just accept the impossibility and see what it does inside. Then work through any tightening constriction. You unwind it, which then brings more light through the situation. As you do this, new creative possibility and opportunity will present - new ways and resources to help you move through. There will likely be a lot of attachment, anxiety and fear at times around you. It's because people sense the pulling away of their foundations. Hold the space for people to express - hold a safe boundary for them to express into. Work to bring greater peace and acceptance. There will likely be increased suicidal tendencies in people at times. Because there'll be an increase of despondency and hopelessness - the old reality is going downhill and there's a struggle to find the accelerating light. Keep reminding yourself (and others) of the beauty of life - that life is also in constant change and transformation. Work to let go and follow the sense of inner truth. More people will likely suffer 'psychotic' tendencies. These happen as the mind struggles to cope with the unravelling of the reality they've been bound into. The ego struggles to find some new foundation. We need to hold the space for them, and keep reminding them of their inner light. Then that layer of ego can be allowed to collapse, which causes the fragment of soul caught in the old paradigm to reintegrate with the flow of light. A new, more stabilised consciousness emerges. So here are just another few symptoms of the Inflexion point to be mindful of. Hi Open. I feel this to be a really important article - thank you! And also to say that I am feeling the effects of this 'inflexion point' in many situations in my life - and in particular with clients (and I'm wondering if other facilitators within the Openhand facilitator network will be feeling this too)? I think that a lot of us felt for a long time that this time would come - when the 'two worlds' became pronounced and started, as it were, 'splitting apart'. It's sad in many ways - it's a period of profound loss on many levels - but this doesn't need to be a bad thing! Essentially it's a wonderful, magic-filled time with opportunities for much joy and expanded beingness, as we learn to let go into the new 5D world. And I feel for me that's the thing that helps those I'm working with the most - particularly those who are feeling a degree of desperation with the passing of the old (including, say, some terror, some shame, perhaps, or a feeling to fight to preserve the status quo) - the reality that we don't need to do anything sophisticated to move into the new... we really just need to give ourselves permission to be fully ourselves - no holds barred, learn to fully feel and learn to let go! But of course, sometimes it's the simplest things that are the hardest ones to do! This article had a feel of 'crucial' and 'honest'. It touched to the core of me. I did not intend to leave a comment here but then log in literally popped up. Being an infrequent 'commentor' i gazed at the username and log in prompt wondering if I had made note of it somewhere? Then my fingers did the tapping and hey presto ? Seriously loved the article & thankin you. Felt pulled on more than one occasion to just read this article and reread it, then read it again. Then pulled again to just leave a comment. This article I just want to say thank you for, Its very, very good and thank you as well for the diagram regarding the inflection point. I'm pretty sure I'm in this bottle neck inflection, kinda just floating up and down with life. Is not so easy to dive upwards per say when life is as life is sometimes you know. it's the simplest things that are the hardest ones to do! Hi Wyndè - when I wrote "pulled in two directions" I did immediately realise that was rather conservative of me! Yes, it often feels like being pulled in ALL directions! An additional friction on top of the opposite consciousness? Thank you for this article. Something you wrote here helped me find words for a feeling I have been having from some time. A consensus reality would also mean that the way this reality shows us our karma and expects us to work through them is based on consensus. So our external circumstances for any soul is a function of its own karma and the consensus within this reality about how the results of karma should be dished to souls. Many people in education now agree that different students learn in different ways and there is an attempt to change the way students are taught to account for this difference. But, perhaps, the way the karmic system seems to work is still the old school way. So the same kind of challenges are given to everyone regardless of whether these challenges would help the soul process their karma or it would actually create more harm. So souls at the minority end of the consensus spectrum may have to deal with two challenges: the OC and the way this reality dishes out challenges to process their karma. Hi Parag - welcome to the exploration - an interesting thought. I think the important thing to note is that karma isn't 'dished out' as such - it's not an intentional thing. It's the result of where the soul is at on it's journey. So in places where it's not self-realised - ie realising of the One Self - then karma creates and builds. Everyone has unique and individual karma based on their own unique journey. And at the same time, there are group karmic themes that bring people together as a 'consensus'. 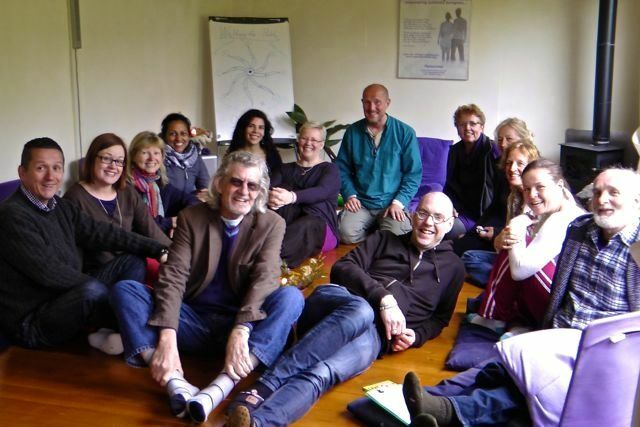 Meaning the soul accepts to gather within a group and create a reality for a group exploration. Where OC (Opposing Consciousness) is concerned, I observe it hones in on karmic blockages and exploits them. Which, at the same time, if we're prepared to own our own stuff, shines a light onto them. Meaning we then know what we have to work with. Thanks Open! It does help. I do have one question though (I hope I am not asking too many questions :-)) - when a soul is processing its individual karma, how is it determined that the karma has been processed and the soul can expand where it was earlier blocked? Does the incarnated soul's Higher Self decide this or does it require some consensus among a group of higher forces or ascended souls? I find myself in a cave-like space. It feels constricting but familiar. The walls of the cave are made out of a living fabric, which I recognize as my own creation, perhaps even an extension of me. I notice an irregularity in the fabric and as I approach it I recognize it is an opening, beginning of a cuff-like passage. I know it is time to go through it. There is some faint resistance, attachment to the familiarity of the cave. I slide in the passage without looking back. The passage seems to be mimicking my internal state – it tightens when I’m feeling constricted inside and my movement within it slows down. So, I let go more, soften further and I begin to move through again. There is no fear, no concern, just temporary tightness sensations within, letting go, spiraling further… The time and space feel just right. Actually, there is no sense of time, it doesn’t feels important. I finally come out on “the other side” and it looks like cosmos, groups of galaxies, entire universes and such a vastness of space in between it all. I breathe in the space and allow it to fill me up. I also notice that I just pulled through the whole cave fabric and it is now facing outwards instead of forming an enclosed space. All this feels really good and there is a sense of calmness and normalness of the situation. Since I had the dream, my consciousness split up from the mind. The latter seems slower and I’m noticing its processes as if they were happening in a slow motion. I seem to be living in a world of mind constructs, concepts created out of thin air, designed to flow the consciousness into 3D shapes. My awareness also underwent a slight shift in time. As things are happening throughout the day I’m noticing a slight delay between the actions and the consciousness. This part is very tricky to explain… the consciousness feels ahead and already knows what will happen a split second before it is happening, so the 3D world acts like an echo. It sounds to me like the dream shifted something and enabled you to experience more of a resonance with the field and reduced identification with separated mind. "pause, sit in the impossibility. Go within, right into the heart of the tightness. You're actually touching the convolution of the old consciousness inside yourself"
When I read this part Open it hit me right between the eyes so to say! Very recently I sat in front of someone (my father) and he was coming on full throttle at me Ouff! Not yelling yet very emotional and just guns a blazing . I had a few disagreements with him in our week together but this one night at supper ..wow. I paused and listened to understand him, I had mediated that night and inquired within why I was not able to create that bridge of communication with him, maybe I sensed the onslaught...lol...I felt at peace that night. there is no doubt we really do not have the same outlook whatsoever...I also came to the realization that it is me that is becoming so different, I see things so differently at times, it even surprises me....it made me realize I need to be more understanding of his frustration with me which I feel is coming, I sense it, Now my challenge is expressing myself and not have him feel so defensive all the time. however in your other thread I will look to use your empowering reply over the holidays if the situation comes up. Hi Steve - it might also be worth, at times, not responding at all. But staying quietly in your field, and letting any barrage come right through and out the other side. Keep softening around it. The beginning of the breakdown of the karmic construct? I felt to draw attention to this previous "Inflexion Point" article for everyone at this time. I sense we're entering a critical new phase in the shift. There are lots of underlying movements within Gaia herself - a building of earthquake and volcanic activity. I'm sensing that what's actually taking place, is the beginning of the breakdown for the karmic construct we're living in. It's a little too soon to call for sure, I'm feeling some major Gaia event will signal that; if my premonition comes to fruition, that's going to signal global impacts on a massive scale. I feel it's beginning on the physical plane, which will cause insecurity from those still invested in the old system. My sense is this is reflected synchronistically in the US/Israel/Iran heightening tension - the shift through the inflexion point is manifesting on the hugely distorted plane of the intellect. But it will impact on all the other levels too - emotional and karmic. Yeah, something big is rolling through the field of consciousness. Thanks for the insight and the synchronistic confirmation. It triggered something and allowed me to create more focus and trust in the process. Great that others are feeling it too Margaret - thanks for contributing. I agree that the pure truth of what's going on is the only thing that matters right now - it never ceases to amaze me, when I'm out in the matrix, how life continues 'as normal', with everything that's kicking off around us. I sense a big wake up call is on its way. Thank you for keeping us in the loop of your wisdom. Yes, absolutely, many people I connect with are feeling it too. Some perceive it as, as you said, a wake up call and having major synchronicities around that. I also see people locked up in bubbles of consciousness that are distorted and untrue, but feeling "normal". I even fall in some of those bubbles myself, but recently I just find it very unappealing and my energy doesn't want to go there. Losing myself in an illusion was just a coping mechanism as I wasn't able to metabolize certain frequencies of light. Truth to me is light. Those frequencies were bearable only for short moments and then the fear would pull me back into the numbing comfort of the illusion. It took many back-and-forths to extract my soul from some of those bubbles. We're entangled in an elaborate mechanism of survival and enveloped in a sense of scarcity since birth. It sometimes takes time and honest self-work get beyond that. And at times it's just a matter of a decision. It feels great to witness a delusion crumbling in front of my eyes followed by this tremendous stillness. Wishing you all well and happy crumbling! PS: I feel like adding that there is a great divine wisdom in how things are flowing right now. Ultimately the flow supports the realignment and I feel its power and wisdom when I'm sincerely aligned with my own essence. So, by allowing the truth of who I am I get to contribute more to the Universe's aspiration towards the greater consciousness. Others are playing their role as intended and as well as they can. Thank you for reposting this Open. Since the last full moon I am internally feeling quakes as well. I am increasingly becoming disinterested in the construct as internally a mass of energy erupts to be seen. My heart chakra feels as if it's on fire . An encounter with a soulmate and progressive unwinding of that deep connect is leading to startling synchronistic events. I am feeling like dream sequences are unfolding . An owl flew over my head recently after a particularly long bout of processing . And the next day a random acquaintance remrked how she really felt to give me an owl shaped necklace ! Glad to be of service Megha - keep working through.